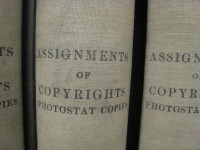 The Copyright Board of Canada delivered a devastating defeat to Access Copyright on Friday, releasing its decision on a tariff for copying by employees of provincial governments. Yesterday’s post provided a detailed review of the decision, including the Board’s findings on the limits of Access Copyright’s repertoire, the scope of insubstantial copying, and the proper interpretation of fair dealing. The decision focused on copying within provincial and territorial governments, but much of the analysis can be easily applied within an education context. Indeed, since the Supreme Court of Canada 2012 copyright decisions, there has been a very public battle over the validity of fair dealing guidelines that have been widely adopted by the Canadian education community. I’ve written several posts on the education consensus (here and here) and there are no shortage of the fair dealing guidelines readily available online.